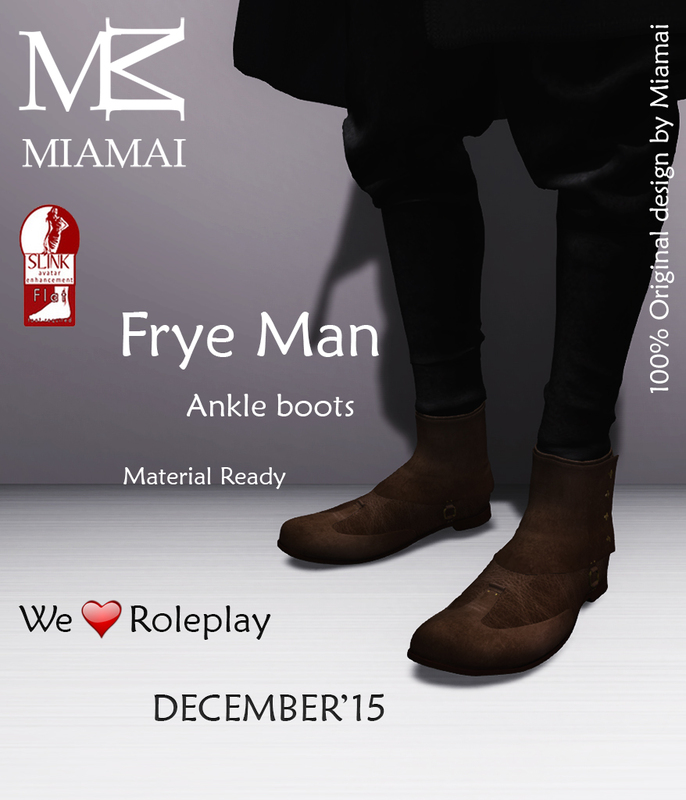 MIAMAI introduces the Blademaster arm warmers and leg warmers at We ❤ Role-Play! Let loose the nordling, elf, or dragon within with these beautifully detailed leather accessories. 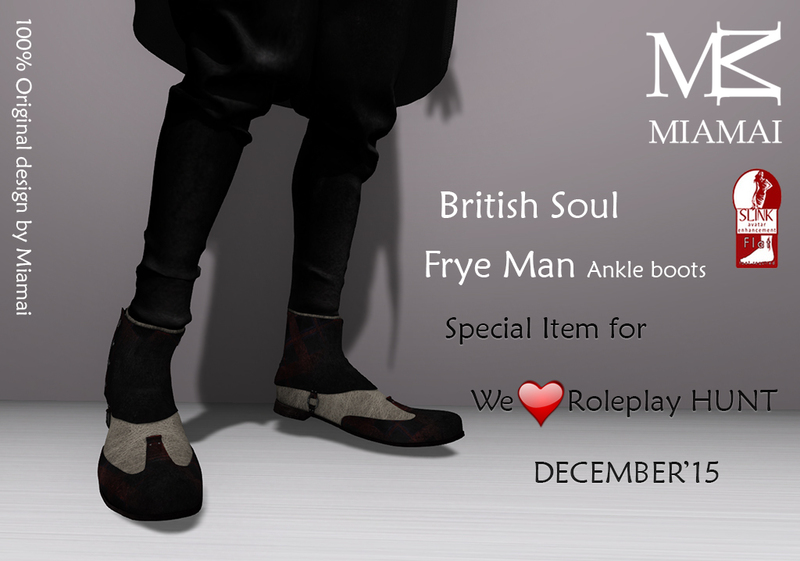 This items are perfect for your avant guard and rp stylings! The Blademaster arm and leg warmers are 100% original mesh, standard sizing, yes copy, no mod, no transfer, and discounted only at We ❤ Role-Play. 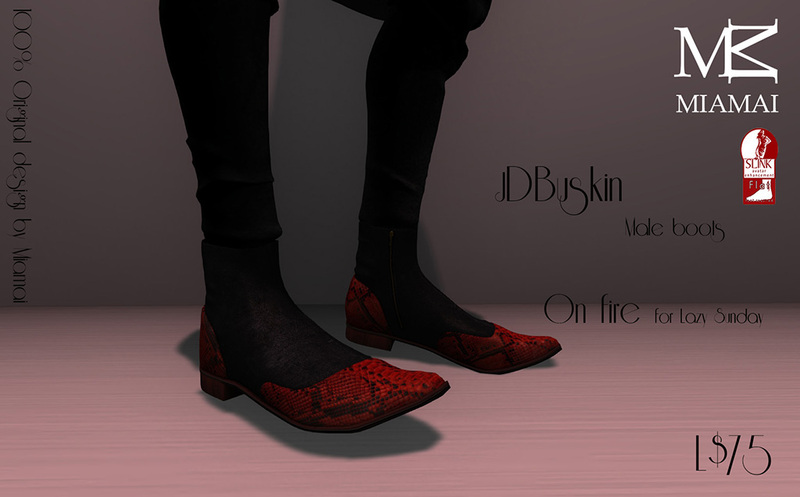 Available in Standard Sizing and Slink Physique. Miamai is in the February round of The Gacha Garden bringing the cute and magical to you with Mushi! Mushi are little mesh Pixie Avatars with big eyes, pointed ears, cute little tails, and wearing a mushroom hat. The Mushi Avatars are so adorable you will want to collect them all! I am not kidding they are that cute! Transform into an enchanted pixie and celebrate the magic of SL! The Mushi Avatars are 100% original Miamai Mesh, No Mod, No Copy, Yes Transfer, Materials, and only 50L per play! *Dry clean only! SEED OF INSPIRATION ITEM: Mushi Pixie Buddies! Cute little Pixies to sit on your shoulder or stand on your head! These items can only be received by playing the gacha 20 times. These are not a rare or won by chance because they are a gift from Miamai to the gacha player. These Seed of Inspiration items are no copy/yes transfer just like a regular gacha item and after the event will be retired never to be sold again. This is your only chance to get these exclusive Mushi Pixie Buddies by MIAMAI! 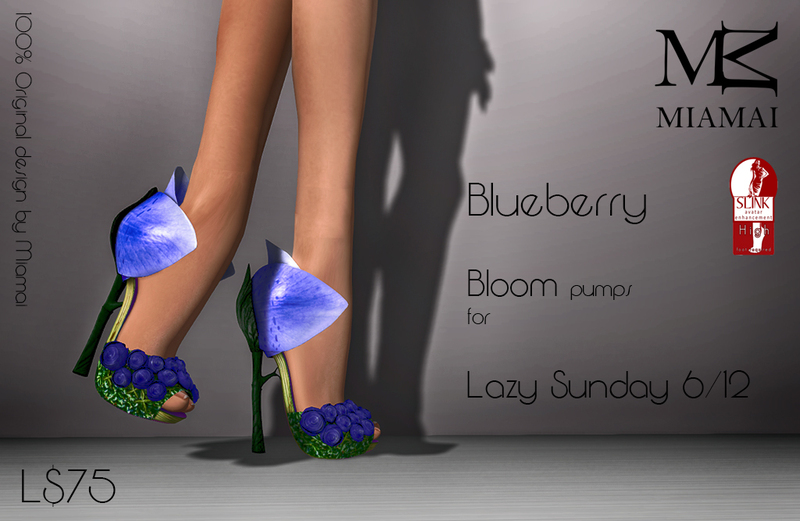 Miamai has two very special versions of the Bloom Pumps made exclusively for Lazy Sunday, Blueberry and Rosehip! The Bloom Pumps celebrate women of magic and nature. Beautiful pumps made of soft edges petals with a rose stem heel, and a moss bed for a riot of small delicate roses that adorned the shoes. 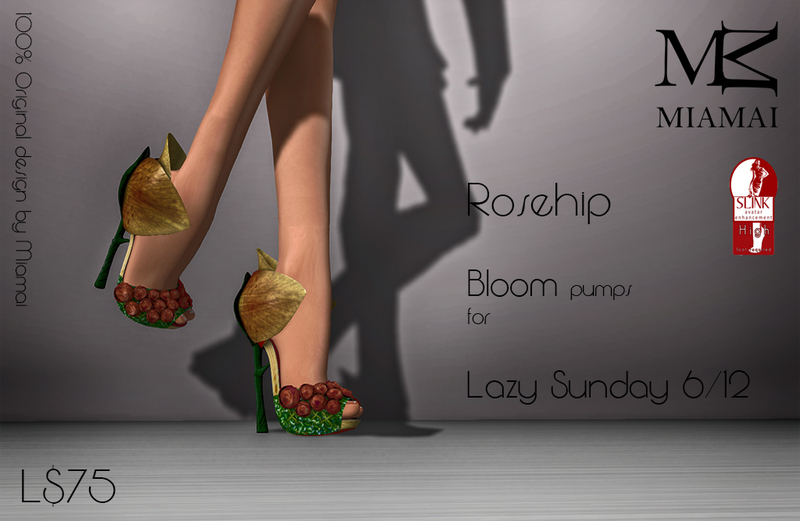 The Bloom Pumps release for Lazy Sunday are only discounted from 12AM until 11:59PM Sunday the 6th of December! 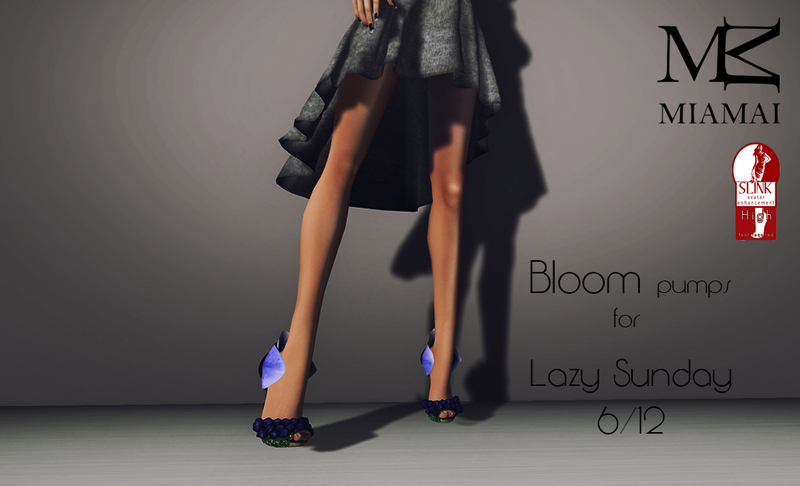 The Bloom Pumps release for Lazy Sunday are copy, no modify, no transfer, 100% original Miamai mesh for Slink High Feet, only available at 75L for 24 hours, and only at the Miamai Main Store!